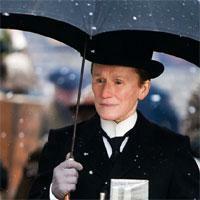 Albert Nobbs is a she who’s been masquerading as a he for decades, a pinch-faced butler at a past-its-best Dublin hotel. While (s)he goes about his duties with stoic aplomb, the shabby establishment’s other downstairs drones titter into their hands, but neither servant nor guest pay too much attention to this “kind little man” until the arrival of strapping house-painter Hubert (Janet McTeer) and Joe the handyman (Aaron Johnson). 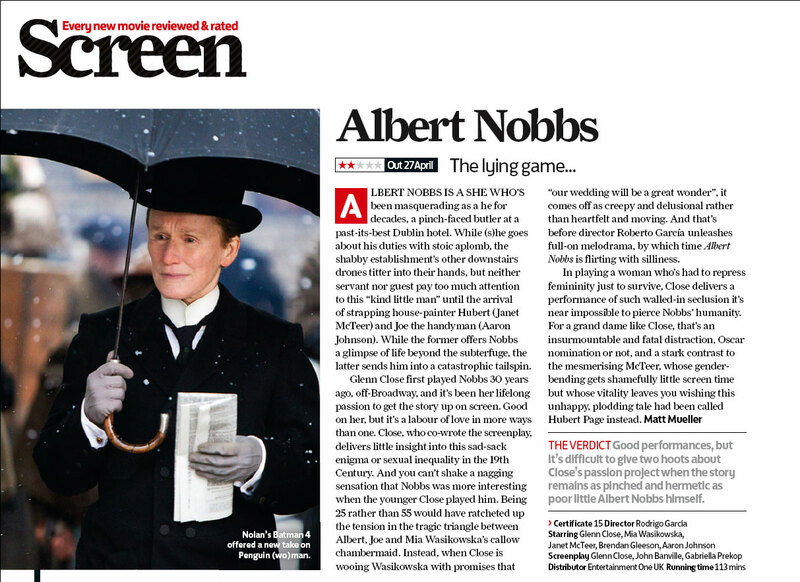 While the former offers Nobbs a glimpse of life beyond the subterfuge, the latter sends him into a catastrophic tailspin.